I was navigating a myriad of menus on my Apple Watch when I realized... THERE MUST BE A BETTER WAY! So I started scribbling on my iPad Pro. The solution came to me; a modular smart watch. Each module could have 1-2 functions, preventing the need for a labyrinthine menu system. Additionally, the owner could purchase only the modules they need, and organize them on their wrist according to personal preference. A win-win! An example would be having a main module for the time and date, and module above for calendar and reminders, and a module underneath for communication; emails messages and phone calls, for example. Extra modules for cameras and microphones could be tucked in to make recording and videography possible, for an extra charge for each module of course! 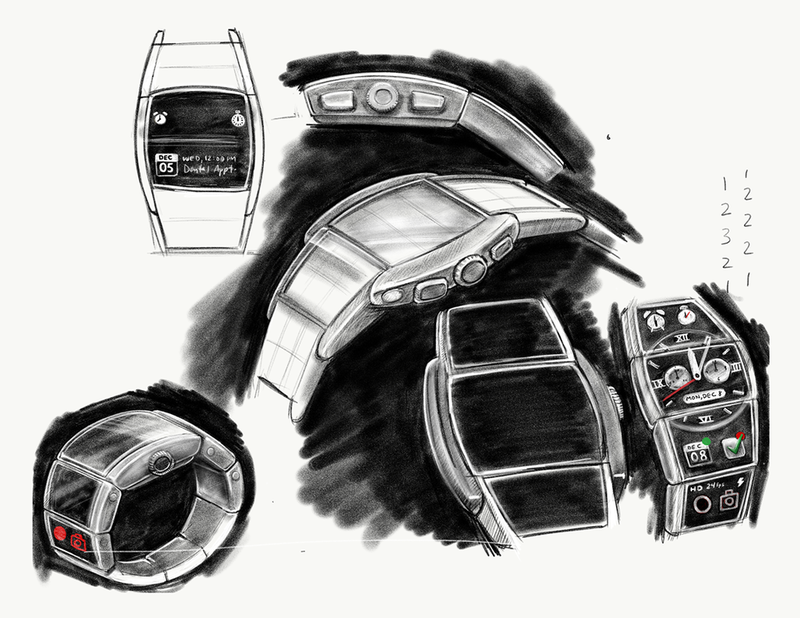 Various studies that perfect the "tonneau" shape of the modular smart watch.